This top 5 list includes some of the cutest mixed dog breeds with cute photos of these designer dogs. All dog mixes (or hybrid dogs, designer dogs, mixed breed dogs, mutts) are adorable, but these are my personal top 5 favorites. I’d like to know your opinion. Tell me which of these hybrid dogs are your top choices. Mixed breed dogs have become an extremely popular type of dog over the past 20 years or so. Mixed breeds are often healthier and their names are delightful! To adopt a mixed breed is to celebrate diversity. Many vets say that the mixed breed puppies are less likely to have a high percentage of purebred generic material, which make them healthier. Enjoy all these beautiful mixed dog breeds. These mutts will have you saying, “aww.” Do you have a favorite designer puppy? The Pomsky is a mixed dog breed between a Siberian Husky and a Pomeranian puppy. 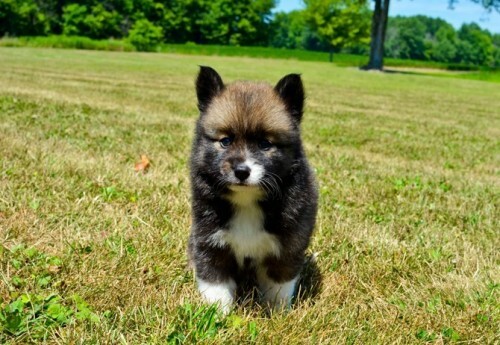 On average, the smallest Pomskies will weigh at least 15 pounds and the biggest Pomskies will weigh at most 25 pounds. The size of this mix breed depends on the parents’ size. The Pomsky is classified as being a “lap dog”. Siberian Husky and Pomeranian dogs are both cute, so by mixing them the result would be an extra cute and rare dog. Pomeranian Huskies offer a lot of enjoyment, companionship and are relatively very easy to maintain. They are friendly dogs that get along well with people, including children. They are very active dogs (it is not recommended to leave them alone for a long time). 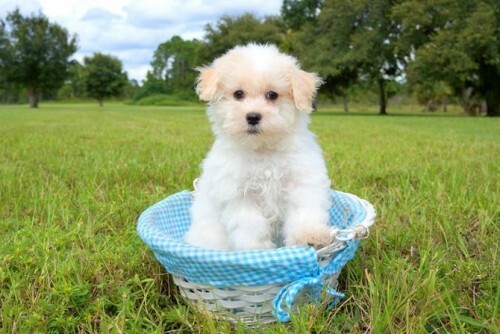 The Maltipoo dog is one part Maltese and one part Poodle, known for his fun-loving and affectionate nature. This hybrid dog need relatively low maintenance and are active, healthy and playful puppies. 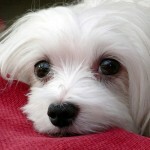 A well-bred, well-raised Maltipoo should be friendly, people-oriented, and easy to train. 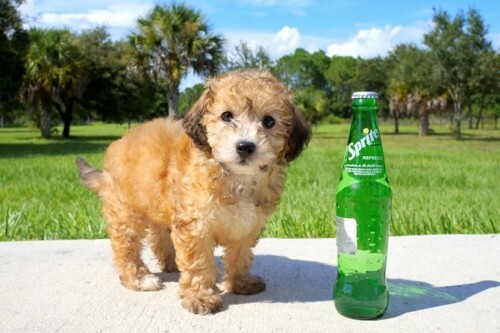 Most Maltipoo adults have a range of between 5-12 pounds. Yorkiepoo mixed dog breeds are a cross between a Yorkshire Terrier puppy and a Miniature Poodle puppy, also called a Yorkiedoodle or a Yo-Yopoo, and are loved by their owners. This hybrid dog has the intelligence of a Poodle dog and the energy of a Yorkie puppy. They are especially suited to apartment life. They weigh between 5 and 12 pounds, and stand between 7 and 10 inches at the withers. 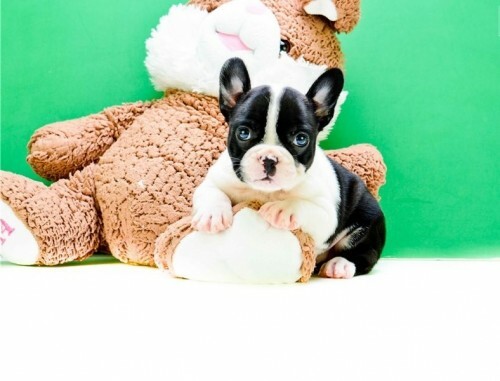 The Frenchton is a cross between the Boston Terrier and the French Bulldog and are recognized by the American Canine Hybrid Club. This hybrid dog will grow to be anywhere from 15-30 pounds. They are a wonderful addition to your family, they love children, are playful, energetic, and love to cuddle. The Miniature Goldendoodle is another mixed dog breed designer dog which results from breeding a Poodle and Golden Retriever. This mixed dog breed is very smart (both the Poodle and Golden Retriever dogs are). They are highly trainable, affectionate with people and other pets, and are family oriented. The Goldendoodle has an average shoulder height of 20-29 inches and weighs 45-90 lbs. 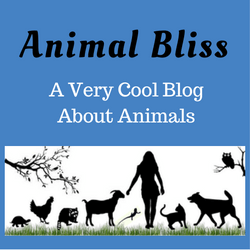 Author Bio: This guest post is by Crystal of Florida Pups. 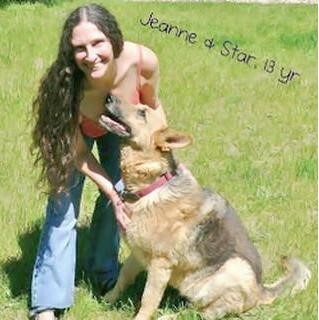 Crystal has been a pet owner for her entire life and has enjoyed every minute of it. Her family and the animals she cares for are her absolute passion in life. Florida Pups is a family-run business that wants to exceed one’s expectations, as they know these are true family members. The health and quality of the puppies are her main and only concern. What do YOU think of designer dogs? Are you for or against the practice of breeding hybrids? 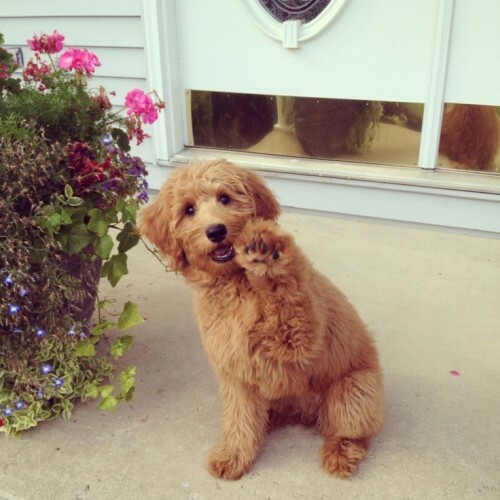 The miniature goldendoodle is adorable; it’s so fluffy, and its little high five is so welcoming! 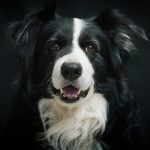 We’ve been considering getting a second dog (we currently have a border collie), and an affectionate, intelligent, family-friendly dog sounds like the perfect match. We may just bring a goldendoodle into our home, though we’ll probably want our border collie to meet any potential new dog first to make sure everything will work out. Yes, it’s so important to have a potentially new dog meet the resident first to see if they’ll be compatible. It can be a disaster if the dogs don’t ‘click’. Thank you for stopping by! Designer dogs are okay as long as it’s ethical. I’ve seen a LOT of pomsky scams and poor quality pomsky breeders. It’s just a shame that these designer dogs end up becoming a target for puppy mills to make a quick buck. I think all dogs deserve a happy home and I’m okay with breeding the perfect dog breed that someone wants, but if its not breed ethically then it just plain should not be done. Great article by the way! Jake, thank you for visiting my blog today. I agree with you, of course. 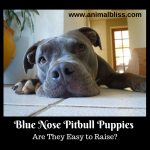 The business of dog breeding needs to be ethical. It’s terrible when puppy mills are just out for a quick buck. 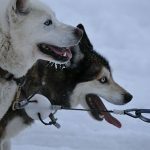 People must be diligent in choosing a reputable breeder, if that’s the way they choose to get a dog. Take care, and thank you for your comment. That frenchton is sooooo cute. I think we had a yorkipoo, but he was not a nice dog. Viscous little hellion is what he was. I think mix breeding dogs is okay if there are no harm in their health over it. Sometimes I am overwhelmed by how they keep doing it. Too much of anything is not good. I know Pom’s are lovable but I also know husky’s like to run. 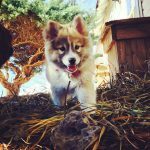 SO would you on a Pomsky have a cute pom look, but it runs? I truthfully think mixed breeding has gone too far, Kathleen. First of all, there are plenty of dogs out there already that are needing homes without adding to it. These little guys are cute and all, but … I don’t know. I just like German Shepherds, is all. 🙂 Thanks for your comment! Come back soon.